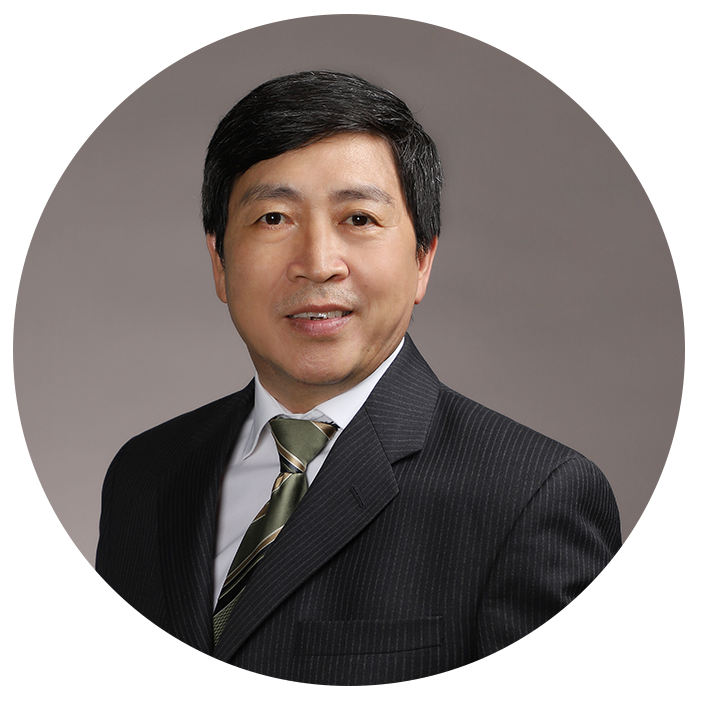 Haijiang Wang, Chair Professor , joined the Department of Mechanical & Energy Engineering at South University of Science and Technology of China in Oct. 2015. Dr. Wang received his PhD degree in Chemical from the University of Copenhagen in 1993 and then began his Post-doctor fellow career at the University of Utah, America. Dr. Wang joined the Natural Resources Canada in 1996 and began engaging in hydrogen sulfide and methane coupled fuel cell research work. Dr. Wang attended the Ballard Power Systems in 1999 and named as “Ballard Outstanding Award” in 2002 for his outstanding work in Ballard AV Carb and MEA. Moreover, Dr. Wang joined the National Research Council of Canada in 2004 and conducted pioneering research in the field of hydrogen proton exchange membrane fuel cell (PEMFC) design, failure diagnosis and durability testing, and mastered the key technologies in PEMFC key materials and components. He also has served as s guest professor at several universities or research institutes, such as the University of British Columbia (UBC), the University of Waterloo, Chinese Academy of Sciences, Vancouver International CleanTech Research Institute (VICRI). Dr. Wang has been awarded as the most highly cited researchers for four consecutive years since 2014 due to his impactful publications in fuel cell research by Thomson Reuters. Dr. Wang has co-authored more than 180 research papers published in referred journal, 5 granted patents and co-edited 15 books related to PEM fuel cells and PEM electrolyzers. ◆ “Carbon-Supported Pt-Based Alloy Electrocatalysts for the Oxygen Reduction Reaction in Polymer Electrolyte Membrane Fuel Cells: Particle Size, Shape, and Composition Manipulation and Their Impact to Activity”, Yan-Jie Wang, Nana Zhao, Baizeng Fang, Hui Li, Xiaotao T Bi, Haijiang Wang, Chemical reviews, 115(9)(2015) 3433-3467. ◆ “Current Mapping of a Proton Exchange Membrane Fuel Cell with a Segmented Current Collector during the Gas Starvation and Shutdown Processes”, Yi Yu, Xiao-Zi Yuan, Hui Li, Elton Gu, Haijiang Wang, Guangjin Wang, Mu Pan, International J. of Hydrogen Energy, 37(2012)15288-15300. ◆ “PEM Fuel Cell Diagnostic Tools”, Haijiang Wang, Xiao-Zi Yuan, Hui Li (editors), CRC Press, 2011. ◆ “Fuel Cell Diagnostics”, Haijiang Wang, in “PEM Fuel Cells: Theory and Practice – second edition”, Frano Barbir (editor), Academic Press, 2012, p265-304. ◆ Neumann, J. Gordon, F. Kelvin, S. Cheung, M. Davis, C. Bien and L. Erickson, US Patent 6,667,127; The World Intellectual Property Org. WO 02/23649; European Patent EP 1323199; Canadian Patent CA 2420485; Australian Patent AU 9354601.